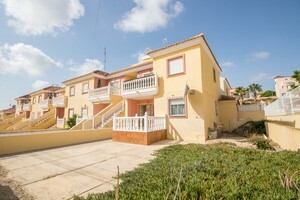 Fully renovated ground floor apartment on a large corner plot in El Galan. This south/east facing apartment comprises 2 double bedrooms with fitted wardrobes, 1 bathroom, living/dining room with an open plan kitchen, rear patio and a front porch. Built on a plot of 163 sqm with off road parking space and plenty of room to add a private swimming pool. The property has been totally refurbished and includes new modern style furniture, kitchen fittings and white goods. 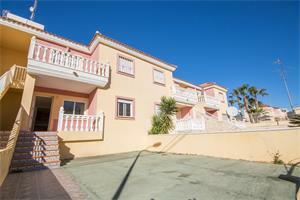 It benefits from a communal swimming pool and garden area located at a few steps from the property. Located in a quiet area at a 5 minute drive from 4 golf courses and 7 minute drive from the beaches of Orihuela Costa.